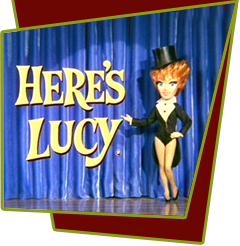 Lucy and the family attend a Buddy Rich performance at a nightclub that is also sponsoring a drum contest. After seeing Buddy Rich perform, Craig decides to enter the contest. Lucy of course believes that Buddy Rich can help Craig and after some persuasion Rich tutors Craig and it seems the win is amost assured. However, at the last minute Craig throws the contest so an underprivileged contestant will get the prize of new drums. Special Notes: This is one of the last episodes that spotlights Desi Jr. He will start missing several episodes to film Red Sky at Morning (1970), and by the end of the season will leave the series altogether.